A banana I bought from Tesco. On its plastic bag, there’s some details including the country where it came from. It’s imported from Ivory Coast, home of Didier Drogba, ex Chelsea player. This is probably the cheapest banana in the retailers, at least in Glasgow. It costs 80 pence a bag, which consists of 5 bananas. I’ve ever bought another bananas in Tesco. It was organic banana. The shape was bigger and more expensive. It cost me £1.30 for 5 piece of bananas. This one is imported from Puerto Rico. Despite Scotland is known as crops and dairy products for the UK’s, banana cannot grown here. Its climate is not supported this exotic fruit to be sprout out. However, I still wonder why the “green house” technology has not been utilised the farming methods for tropical fruits. Speaking about it is quite effortless to spot banana in store, I’ve also once purchased a banana from the cafe at my campus’ library. It cost me 60 or 70p each. Yes, you can buy the equal amounts of money with a bag of bananas from Tesco. 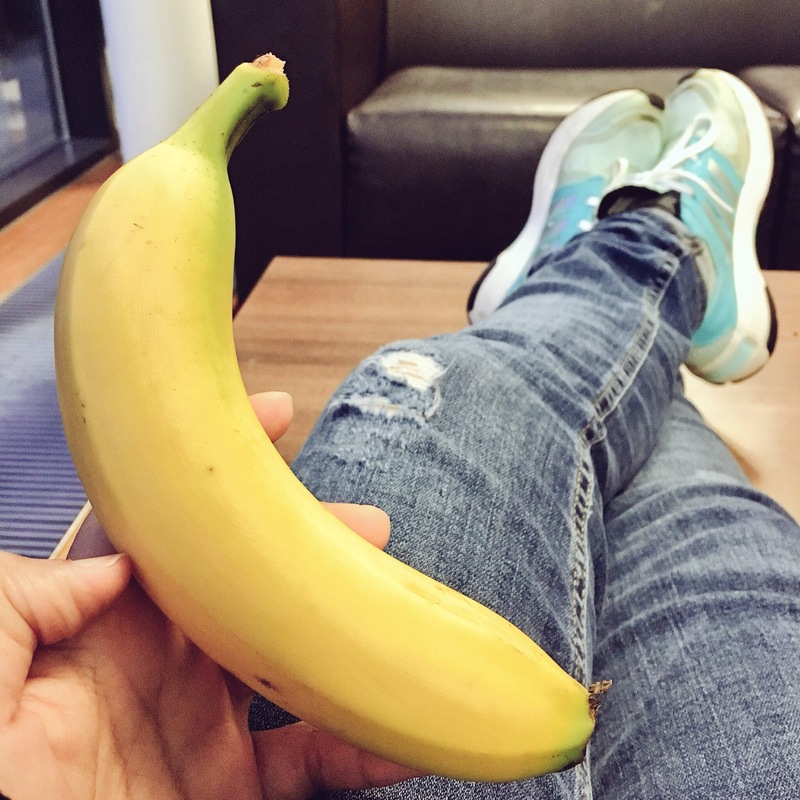 As long as I can observed, many students brought banana as their immediate snack in the library. Firstly, maybe they just like it. But for me, it could be because banana relatively has no smells and easy to peel. In the main library, students are allowed to eat cold meals like sandwich, youghurt, and fruits. Although there is restricted in the student meeting rooms. The only place that students could eat every kinds of meals is in the level 3. Every lunch time, level 3 is considerably crowded. I’ve experienced 5 or 6 times being delayed my lunch time because I can’t spot any place available. Hence, if I have a banana at my bag, I could eat banana first, and wait for 1 or 2 hours after the general lunch time.